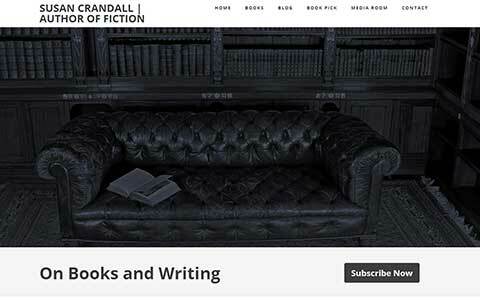 Welcome to the new and improved Susan Crandall Author Website! We have all the same old stuff, and will be adding more ad time goes on, all with a great new look and feel. The change was forced in part by the success of Whistling Past the Graveyard and the increased traffic it has brought to SusanCrandall.net. The increased attention has been great for the most part, but as always, a few bad apples can ruin the bunch. With the increased traffic, the website became much more appetizing for internet spammers who sent their bots to sign up for user accounts to try to bombard all of our good readers with their less-than-appropriate advertising messages. We’ve bee able to keep it off the site, but was becoming a fairly time intensive process to do so. So we upgraded! Now they should be stopped automatically (for the most part) from even signing up for an account. Unfortunately, in the change, we lost most of the user profiles we previously had. If you’re among those who lost their profile, we truly apologize, and ask that you take a few moments to sign up for a new account, or simply start signing in using one of your social network accounts like Facebook, Twitter, Goodreads or Google Plus (does anyone use Google Plus?). So welcome, and we hope you participate in the conversation as the buzz surrounding Whistling Past the Graveyard continues to grow! The site is still under construction, so if you have any problems or suggestions for things you’d like to see, please send a message to content@susancrandall.net. No contest for those of us not interested in Facebook or Twitter? Good point, Gladys. I’ll get something set up! Thank you for bringing this to my attention.